Well Essie did it again. I got in the store, not planning on getting any nail polishes - and I left with three. All from Essie. Went back home, applied Bahama Mama and I felt head over heels in love with it. Now I am obsessed and I have been wearing this beaut non-stop since I got it, and I absolutely adore it. 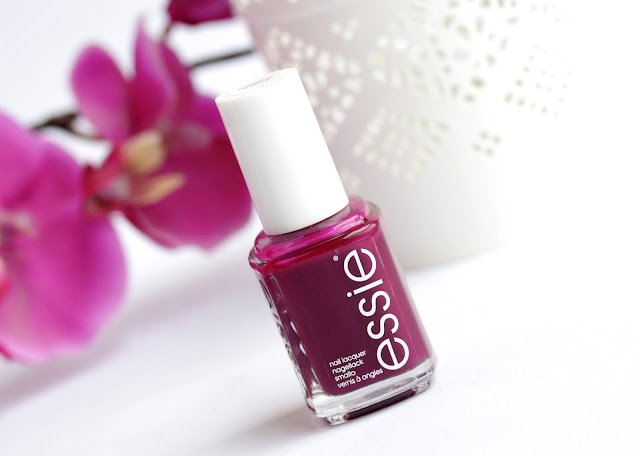 Apparently, Bahama Mama is one of Essie’s most popular shades (have I been living under a rock? ), and for a good reason. It is this absolutely stunning deep plum berry cream that looks beautiful onto pretty much all skin tones and has lovely glossy finish. It does look a bit darker on the nail than in the bottle but I don’t mind it as I love darker, more vampy shades. What I adore about Bahama Mama is that it’s dark, but doesn’t look black on the nail, as many other dark lacquers do. The purple undertones in the shade completely stole my heart and we have them to thank for the very unique shade of Bahama Mama. Depending on the lighting, the color changes and it may lean more towards light purple or darker red wine-ish. Love that! The formula of this polish is not my favorite but it gets the job done. I find that Bahama Mama is more on the watery side and it’s a bit runny, which makes the application a bit more difficult and faff-y but it’s nothing that horrible. Also, unlike most of my Essie varnishes, this one is not as opaque and you need about three thin (or two thicker) coats to get the color even. It’s a good thing that Bahama Mama dries fast, otherwise I wouldn’t be bothered with it, regardless the fab shade. It is also not the longest lasting nail polish I own as it starts chipping around the third day mark. When I wear top coat though, I can get around six days of wear, so let’s say it’s fine. Have you tried Bahama Mama before? What do you think of it? I love this shade - it's going straight on my wishlist! This is lovely, I nearly got it the other but changed my mind and got something else instead! I love the shape of your nails too, it's exactly how I like mine! Would love for you to check my blog out at some point, I've just redesigned it! i'm agree with you, i love dark nail polishes that don't look black on my nails! it's a perfect colour for this season! Ah this color is so perfect! I agree with you about the formula--definitely not a one coat polish! But I do find the color to be worth it. (I have to say the name is a little funny because I associate Bahama with summery colors haha). 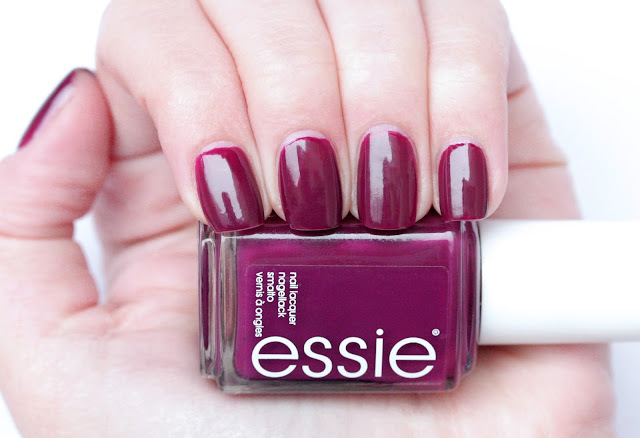 This is one of my favorite Essie shades! Nails polish is great color of your skin tones. . I think this color would be cute on the toes! This is one of my favourite shades! Luckily, the formula of my nail polish is amazing. I've noticed that there are two types of formulation when it comes to Essie. 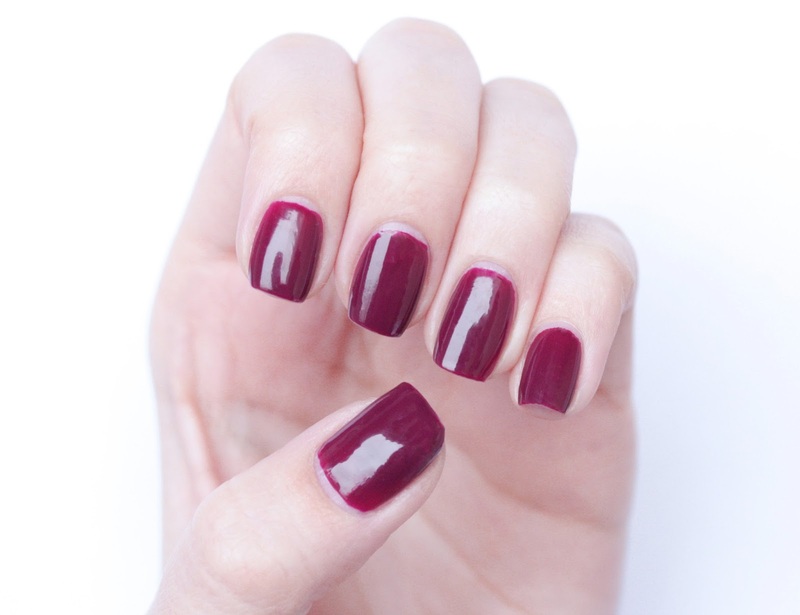 In my country, for example, Essie nail polishes that are sold have a very wide brush and a great, thick and opaque formula, but the ones I picked up in the States are completely different - small brush and a very watery formula. Oh my gosh! I think we're living in the same rock! Haha. I also haven't heard of this before. Now, I'm totally pumped up to by mine. Bahama Mama is one of my favourite shades! It's such a great Autumn/Winter colour! Isn't this color gorgeous? It's one of my faves! 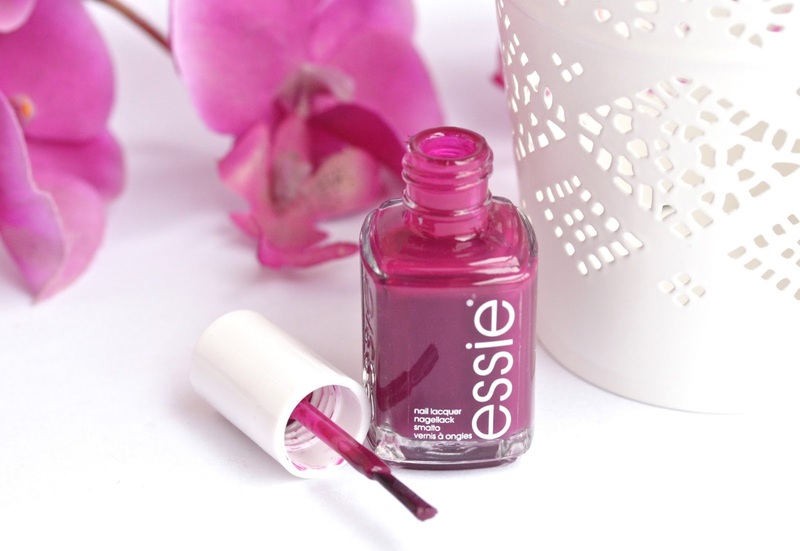 Love how bright this plum colour is! Definitely will be a perfect fall colour! I have been searching for a shade like this for ages, Im stuck in a nail polish rut. Its always either Essie Lovie Dovie or Fiji. You've captured the colour well in your photos!